Clif bars have been around a while and have ventured from the simple granola bar to energy gels, a women’s bar, a kid’s bar, even wine(?!). 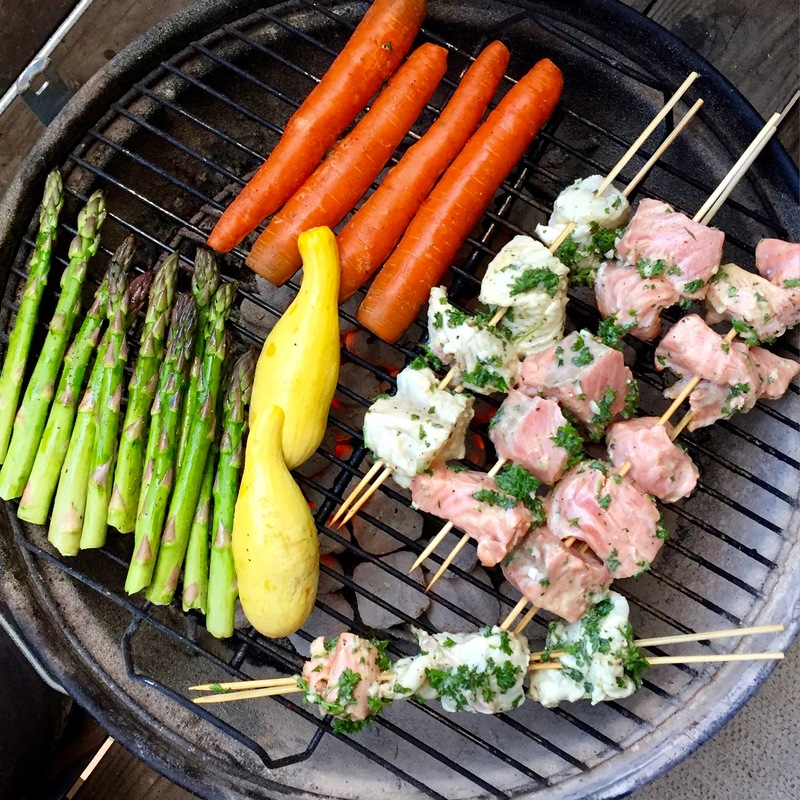 They make a variety of foods that are free of trans fats, hydrogenated oils, and no high fructose corn syrup (and most are dairy free!). Thank you. Thank you. 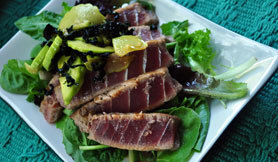 We, as people, need no more of any of those awful things floating through our food. Anyway, I was sent some lovely samples to try, review, and eat. And try, review, and eat I am doing! I love it! I like a good adventure, so surely I like these bars. They reminded me of my days of Nature Valley Bars. Crumbly and delicious. But better. Two flavors, Chocolate Peanut Butter and Blueberry Crisp. The Chocolate Peanut Butter was definitely good. Who doesn’t love peanut butter… and granola. We know I do. This flavor was creamy yet crunchy. Just a tad crumbly but salted perfectly and slightly sweet, with a touch of bitter from the chocolate- almost like dark chocolate. These bars would be excellent over coconut milk ice cream, topping a smoothie, crumbled in a bowl with almost milk, over fresh fruit, or driving in the car. Although driving while eating may involve crumbs sprinkled everywhere. They’re a little flaky but if you’re ok with it, I’m ok with it. 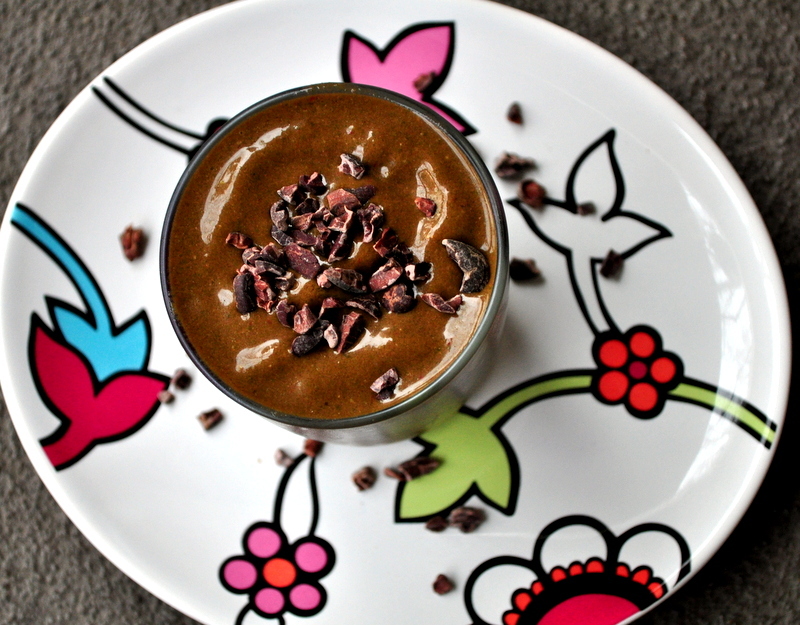 Not a fan of chocolate, peanut butter, or blueberry? Then we’re not friend anymore. They’ve got 6 flavors to choose from! 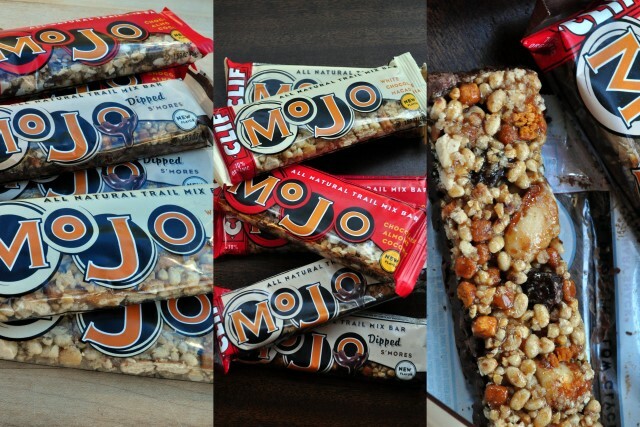 MoJo Bars were sweet, crunchy, sticky, gooey, chocolaty, and a tad too sweet for me. BUT… they were good. Everyone in my house loved these but for me they were a bit too sweet. But again, that’s me. I liked the whole pieces of fruit and nuts and definitely would never complain about the chunks of dark chocolates. White Chocolate Macadamia. Why does white chocolate and macadamia always get partnered together? And is it funny that I dislike both? Oddly enough, these may be two of the three foods in life that I’m not too fond of (#3 is water chestnuts. Ew and ew.) 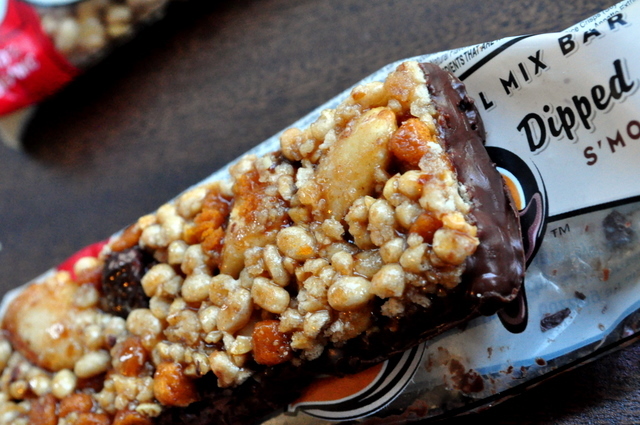 That being said, this bar was way too sweet for me but was the favorite out of the taste-testers I rounded up. It was sweet with some savory and actually pretty good for being white chocolate and macadamia. If you like both of those things then you’ll love this bar. And it contains cute little pieces of pretzels and mini white chocolate chips. What’s not to love? 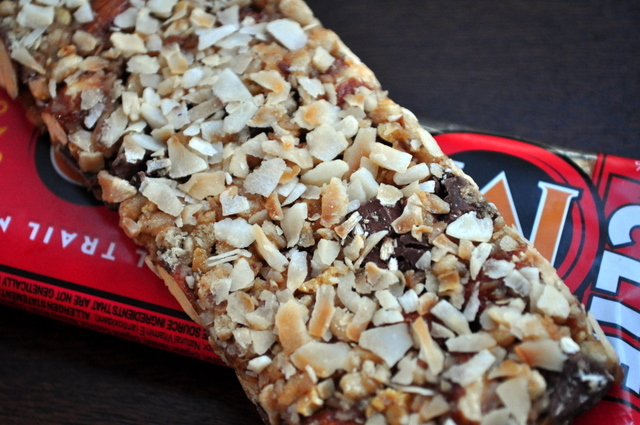 Chocolate Almond Coconut. Now this is my kind of bar. 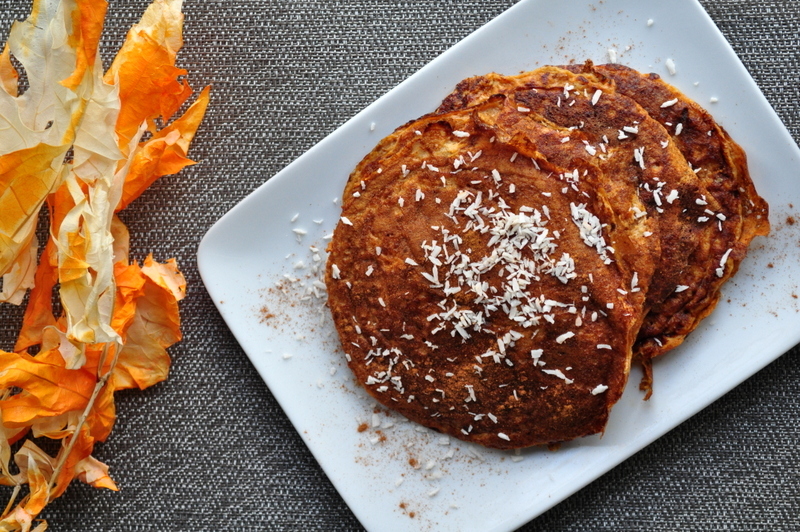 Toasted coconut meets chocolate. And almonds. Mmmmm. My favorite of the bunch and loaded with giant pieces of all of the above. Sweet, salty, coconuty, crunchy, and yet creamy and soft. I’d grab this one for a long day at work or just as a dessert at night. There’s even a dipped variety of MoJo bars, the S’More Bar. One side is granola bar, one side is pure, wonderful chocolate. Again, a little sweet for my liking and being that marshmallow is not my cup of tea (or even good to me) I wasn’t a fan. However, any other flavor would probably be really good. Nutritional profile-wise, each bar is slightly different and loaded with good fats to fuel any level of activity. 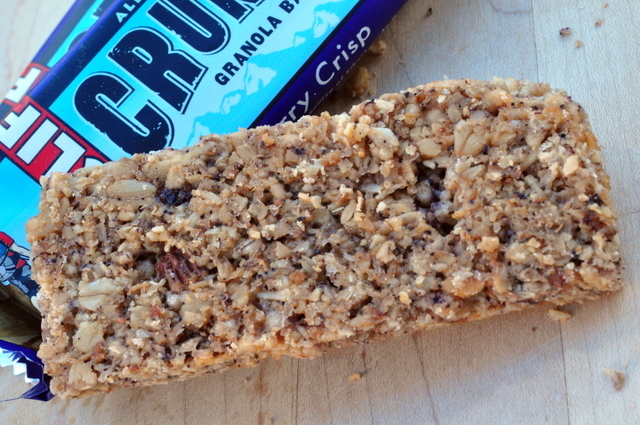 Protein is mild, but to me, granola bars are dessert and should be eaten in moderation. 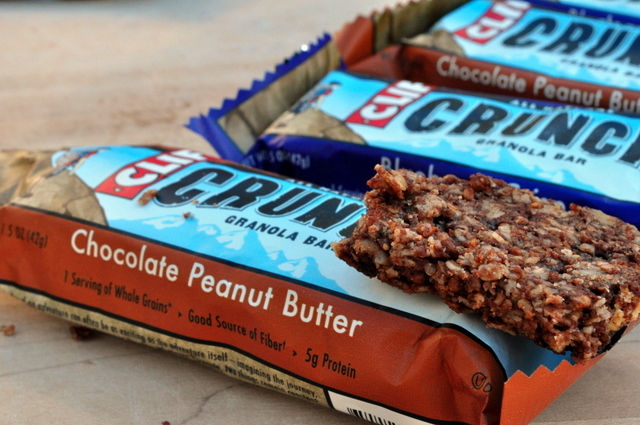 Out of all granola bars on the market, I’d rather choose a Clif bar like these that are made with mostly whole ingredients, then ones made with the fake stuff (chemicals and “foods” that one cannot pronounce). Although not gluten free, I liked the bars. But they do have gluten-free, dairy-free, and vegan options! 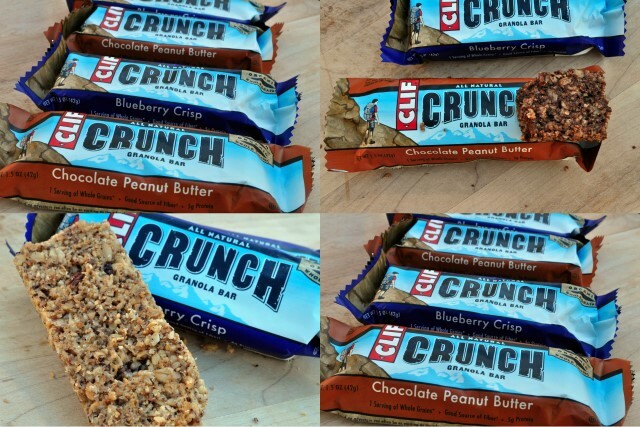 I’d love to try some bars that are gluten and dairy free from Clif. One more review done and many more to go! 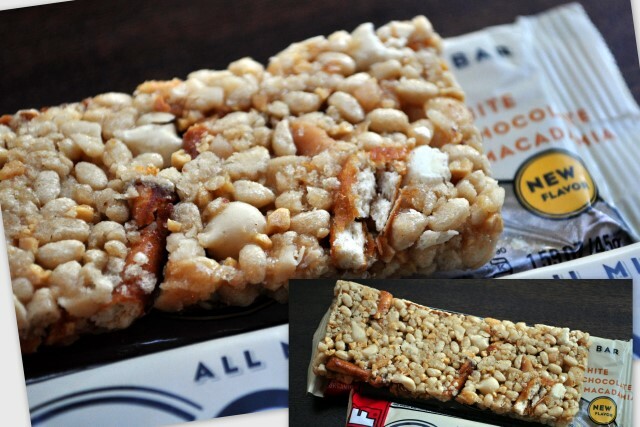 Do you grab for bars when you’re on the go? What type, variety, kinds, textured, brands of bars do you favor? 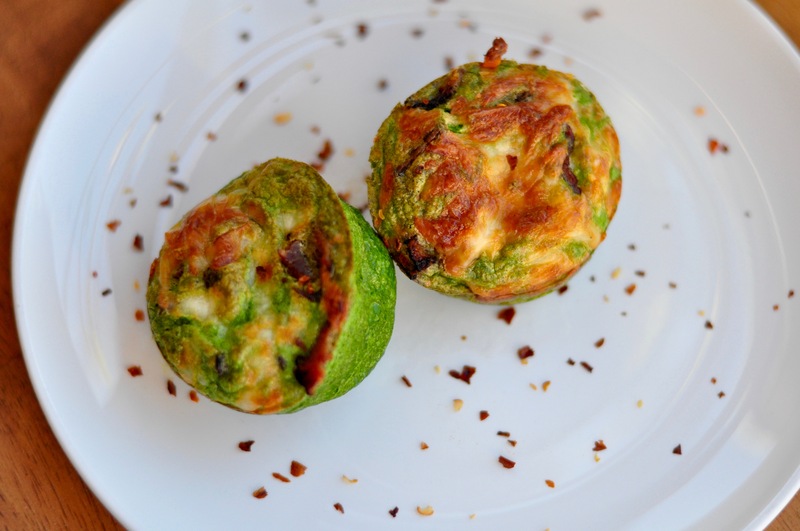 What’s your favorite to-go snack? 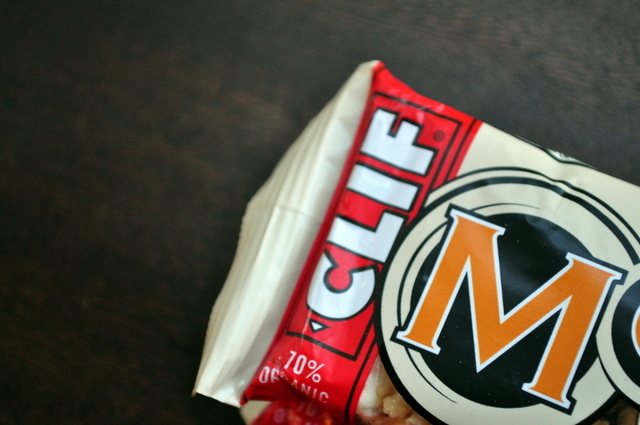 I like the “regular” clif bars – (first? original?) 🙂 I need to try the crunch, those look great, especially the blueberry… I’ve had the mojo and I thought they were too sweet! we just got a coupon for a free Mojo bar. i can’t eat em, but i think i’ll get it and put it in my daughter’s lunch box. I didn’t know they had gf varieties–that’s way cool, especially since they seem to have pretty good coverage in stores that doesn’t cover special diet folks much. Didn’t know you don’t like mac nuts and white choc! Interesting, they have some similarities. 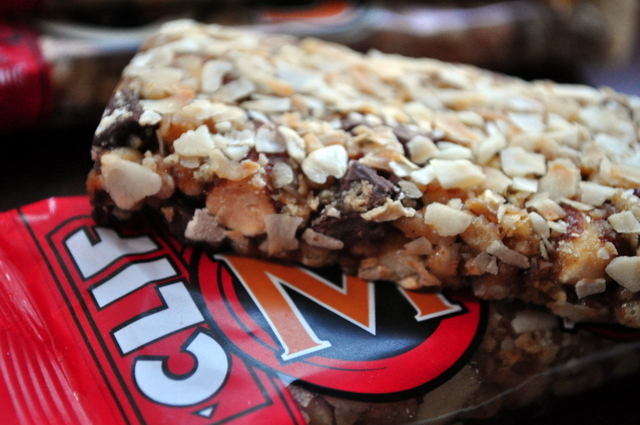 Oooh I love clif bars so much! I have never seen ANY of these in store though! I wonder if they are sold in canada…or on iherb 😛 They all look so good, and definitely a good version of a granola bar! I would loove the white chocolate macadamia nut one. 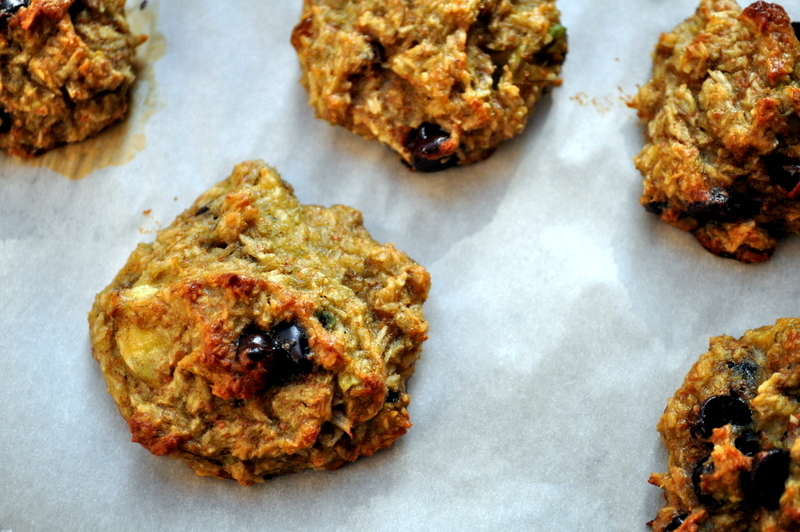 I’ve been wanting to try the Blueberry crisp, but haven’t seen them anywhere yet..where are you getting them? 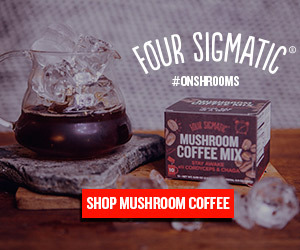 TJ’s? Safeway? Target? 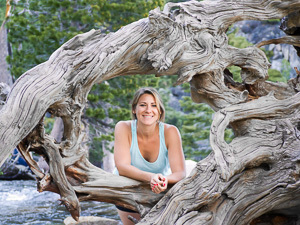 I think Quest bars are great. They’re grain-free, crazy loaded with fiber, and have a very moderate amount of calories for such a protein-packed bar. They’re also very VERY chewy, which I like, and I don’t think they’re too sweet either. I loved me some Nature Valley Oats and Honey. I used to buy the big huge box from Costco when I worked in the field in Hawaii. 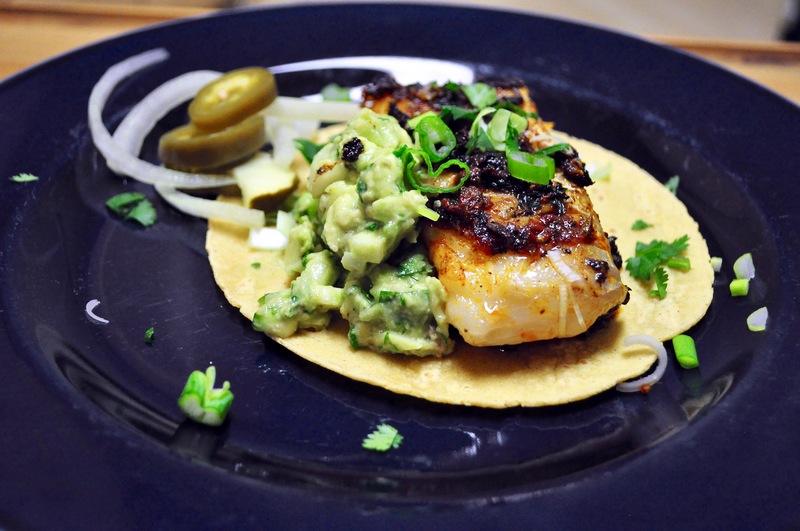 I’d eat those, Lunas, and Mojos daily. Each. I was a bar queen. I agree though, now they are all too sweet for me. I’ve never liked Clif bars though. 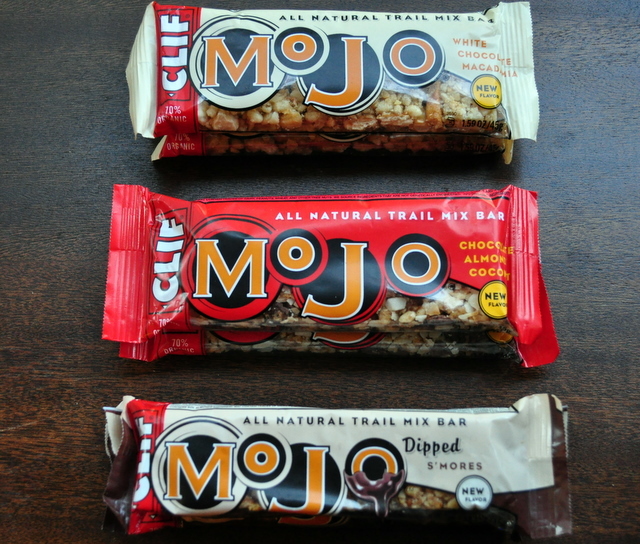 I’ve never tried the mojo ones before, but that chocolate coconut almond flavor sounds insanely good! I think my favorite bars are PureFit or Quest bars, both always fill me up really well when I’m on the go. 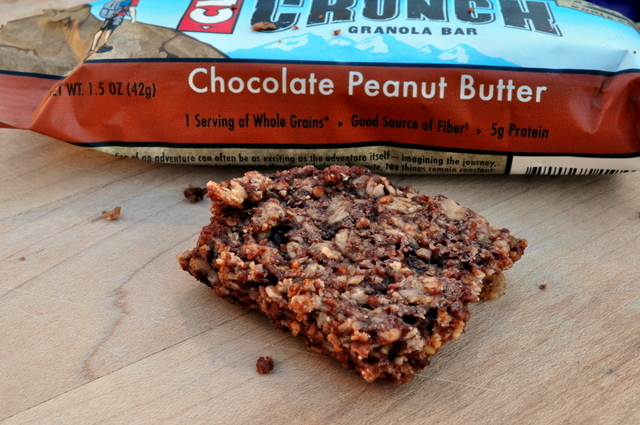 I’ve never seen the Crunch bars – they look good! 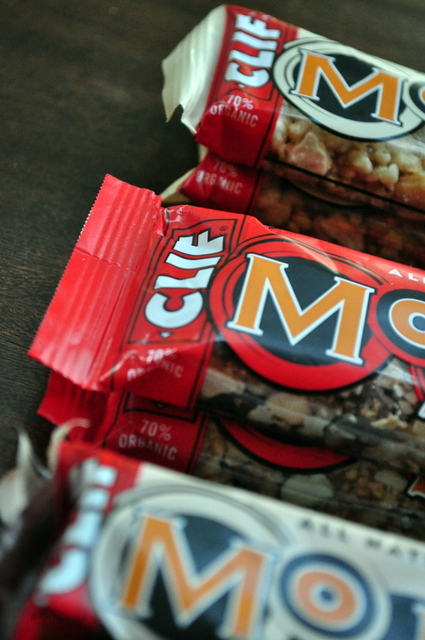 Sometimes I have a Clif (original) bar on hand for when I know I’ll be out and about for a while but might not have time to stop and eat a real meal until later. I don’t much care for them, though. Every single one I’ve had is overpoweringly sweet after just a few bites.